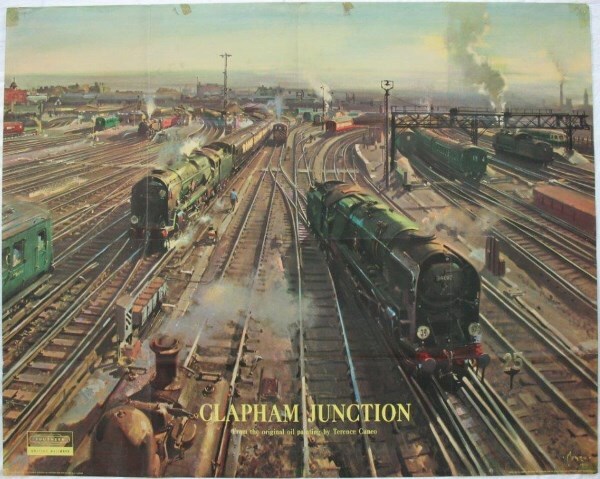 Lot 135 Q/R Poster 1961 BR "Clapham Junction" by Terence Cuneo. The busiest junction in Europe, towards the end of steam. Folds, various tears repaired with acid free tape on rear, staining from old sellotape in places.